The Graduate Management Admission Test (GMAT) is a computer adaptive exam intended to measure certain analytical, writing, quantitative, verbal, and reading talents in written English for use in admission to a graduate program, such as an MBA. It is the main competitor to the GRE. The GMAT test is administered in standardized test centers in 112 countries around the world. According to a study directed by Kaplan Test Prep, the GMAT is still the number one pick for MBA candidates despite the growing acceptability of GRE scores. See our list of the best GMAT prep books here. The GMAT exam consists of four segments: an analytical writing assessment, an integrated reasoning segment, a quantitative segment, and a verbal segment. The quantitative and verbal segments of the GMAT exam are both multiple-choice and are run in the computer-adaptive design, adjusting to a student’s level of aptitude. The GMAT does not assess business awareness or talent, nor does it measure intelligence. The Analytical Writing Assessment (AWA) comprises of one 30-minute writing assignment—analysis of an argument. It is vital to be able to examine the reasoning behind a given argument and write a evaluation of that argument. Integrated Reasoning (IR) is a segment aimed to assess a student’s capability to evaluate facts presented in multiple formats from multiple sources. Performance on the IR and AWA segments do not contribute to the total GMAT score. The quantitative section of the GMAT seeks to determine the capability to reason quantitatively, solve quantitative problems, interpret graphic data, and examine and use information given in a problem. Problems require understanding of certain algebra, geometry, and arithmetic topics. 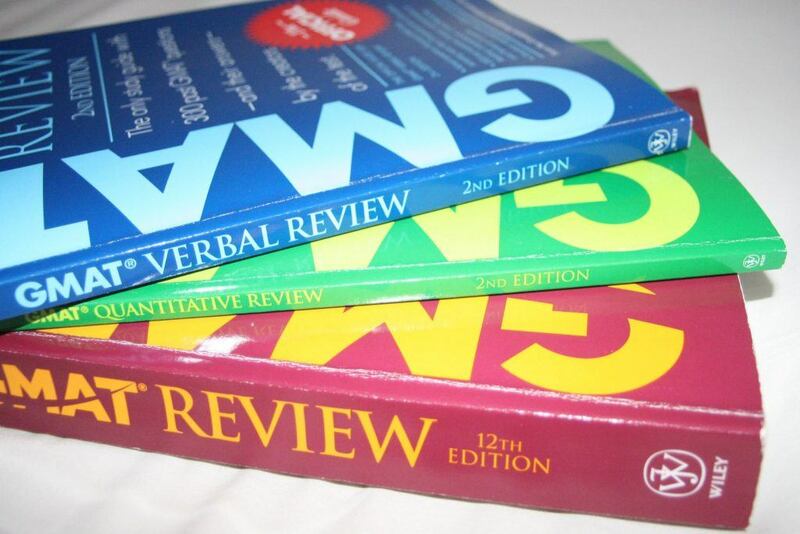 The verbal segment of the GMAT test includes the following problem types: reading comprehension, critical reasoning, and sentence correction. Each problem type gives five response options from which to select. The score distribution follows to a bell curve with a standard deviation of roughly 100 points, meaning that 68% of test takers score between 440 and 640. More accurately, the average score is 545.6 with a standard deviation of 121.07 points. Future business students taking the GMAT test can preview their unofficial scores before determining whether to report or cancel them. This score reporting feature is accessible by all students at all 600 exam centers around the world that direct the GMAT exam. Directly after taking the exam and before leaving the exam center, you are given the choice of recording or canceling your scores. You will see your unofficial scores — Integrated Reasoning, Quantitative, Verbal, and Total — and will be given two minutes to choose whether to agree to take them. The computer-based GMAT is only held at test centers with suitable technological accommodations. Students in major cities in the United States, or those attending large U.S. universities, will typically find a nearby test center, while those students in more isolated areas may have to travel a few hours to an urban or university location. The computer-delivered GMAT is accessible year-round at Pearson test centers, and also on fixed dates at supplementary testing locations outside of the Pearson exam center network. Appointments are scheduled on a first-come, first-served basis. When choosing a test date, make sure your scores will be reported in time for your submission deadlines. For computer-delivered tests, scores reports are sent to your chosen score addressees roughly 20 days after your exam date. The GMAT can be booked up to five times a year. Each try must be at least 16 days apart.